During the winter, I pretty much stick to red wine. But when it starts getting warm, my alcohol preferences broaden substantially! I like white wines, cold beers, and the occasional cocktail. 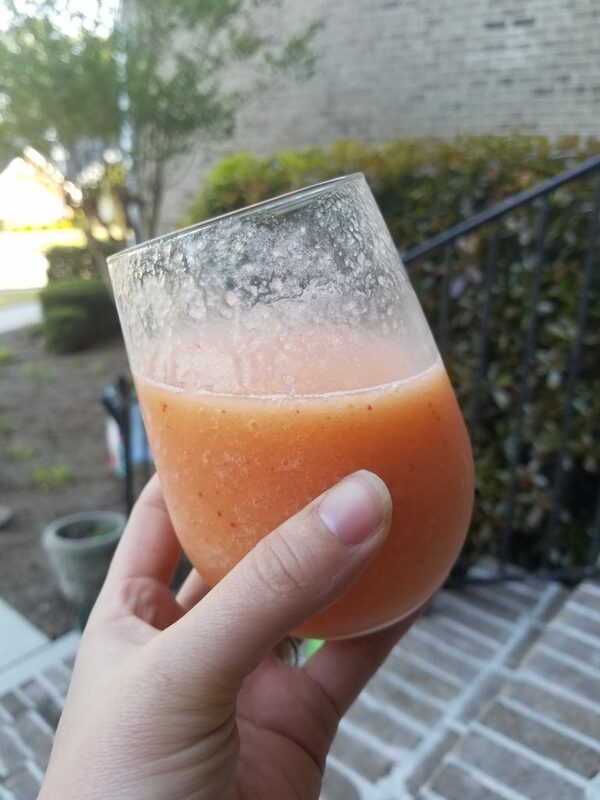 And over the weekend, I whipped up a super easy drink that was refreshing and fun, and perfect for sipping on while watching the kids play in the yard! My Fruity Wine Slush couldn’t be easier to make, and it only takes TWO ingredients! And no liquor store trip necessary, just grab a bottle of wine and a bag of frozen fruit from the grocery store! I grabbed a Pinot Grigio because I didn’t want my slush to be toooooo sweet, but actually, I think a sweet Riesling or Champagne would be delicious (I chose this one because a) it was $5 and b) it’s a screw top ). And the fruit selection is also totally up to you! I already had this peach, mango, pineapple, and strawberry mix in the freezer, so I used it. A berry mix would be really tasty, or all mango would be really good too. Whatever you like! All I did was add the bottle of wine to the blender (always add liquid to your blender first so the mixture will blend properly), and add the whole bag of fruit, and blend. DONE! Easy and so good, and healthy (since it has fruit in it, right?! Haha :)). 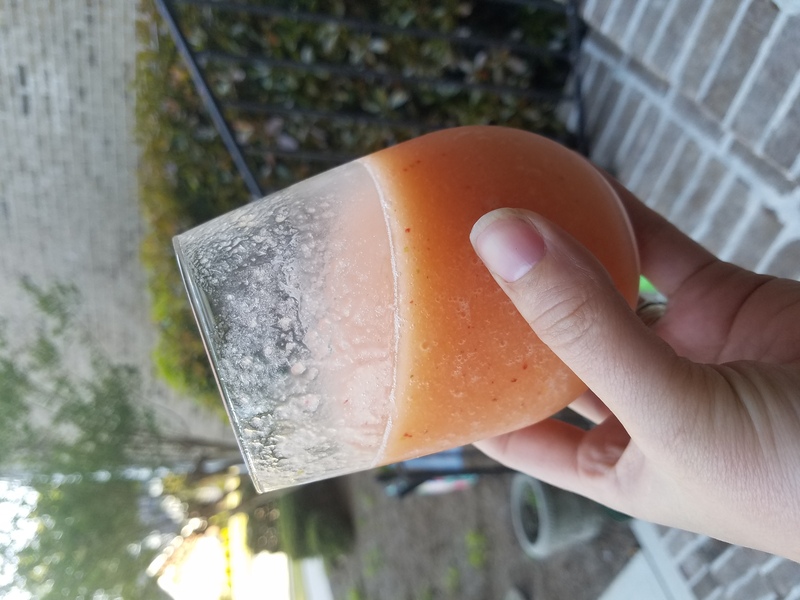 You could probably use fresh, non-frozen fruit too, but I liked how frosty and slushy-like the frozen fruit made the drink. It would likely be much smoother with fresh fruit, and I think you would need to refrigerate it before drinking to make sure the wine stays chilled. So try it out and let me know what you think! I’d love to know your favorite fruit and wine combinations!